One photo can suspend for eternity the depth of human emotions we feel. Whether we experience joy, sadness, pain, horror or fear, a simple click of the shutter can record that feeling forever. When you look through these photos, put yourself in the shoes of those being photographed and imagine what they felt. Belarus Konstantin Pronin, 86, has traveled every year to Gorky Park in Russia after WWII to meet with his comrades. This year, he was the only person left. September 1941. Ukraine. The Nazis shot every Jewish person in the city within 5 days and 750,000 overall during the war. It took 10 years and 2 million seconds of exposure time for this image. It represents the deepest image of the universe we have. We can see over 5500 galaxies, some 100 million years after the Big Bang. Filipino district councilor Reynaldo Dagsa took this New Year’s Day photo of his family. Right then, a gunman appears in the left corner, pulls out a gun and assassinates Dagsa. The gunman purportedly had a disagreement over Dagsa’s policies in the area. At Taiyuan train station in Northern China, a dead man lay slumped on a bench. All the commuters ignore him until a Buddhist monk comes along and begins to pray for the man. The image went viral and shocked the nation. It made people question if their society was suffering from ‘collective apathy’. ‘The Long Walk’. A British EOD (Explosive Ordnance Disposal) technician makes the solitary journey to defuse a bomb in Northern Ireland. This photo was taken in the slums of the Mongolian Ger District. The area lacks clean water, sewers and heating systems. Even children can purchase alcohol and cigarettes without much trouble. Toshiyuki Tsunenari photographed this girl crying two days after a devastating tsunami demolished the city of Natori in the Miyagi prefecture in Japan. Only days before, this farming town of 74,000 enjoyed a peaceful life. The tsunami destroyed most of the town. The above quote came from Gandhi, and it quite aptly summarizes this photo. Collin Rodefer shoots two coffee shop goers who wave happily to the camera, oblivious (or ignoring) the homeless man inches away from their feet. Emotion overcomes this Lithuanian driver who accidentally hit and killed an 8 year old child. Over 1600 people have committed suicide since the Golden Gate Bridge opened in 1937. In this photo, an anonymous man places call to the suicide hotline from a phone located on the bridge. His ultimate fate is unknown. The Nazis held their annual Nuremberg rally from 1923 to 1938. These gatherings functioned as propaganda rallies to spread the Nazi doctrine. Hitler approved Albert Speer’s Cathedral of Lights to light up the rallies. One hundred thirty anti-aircraft searchlights beamed upwards creating impressive vertical bars of lights. The Mars Exploration Rover Spirit photographed this ethereal sunset on Mars. It descends majestically below the Gusev crater. Dead acacia trees in the Namib Desert rise from the dunes. The Tsauchab River fed this area before it dried up. Now these over 1000 year old trees dot the landscape of the Deadvlei dunes. The climate has become too dry for the trees to even decompose. April 30, 1945. Major Clarence Benjamin of the 743rd Tank Battalion comes upon a train full of Jewish and Finnish prisoners. Those guarding the train evidently ran away moments before the Major’s arrival, as no firefight was reported. Major Benjamin took this photo of a Jewish woman moments after she realizes that she has been saved. The look on her face reveals tremendous relief and gratitude, and the knowledge that she and her child had just been rescued moments from death. The only human, living or dead, not contained in this picture of Earth is the photographer, Michael Collins. Collins took this picture from space and captured all of Earth’s inhabitants except for one person. Michael Collins. German soldier, Armin Wegner, captures this cruel scene of a Turkish government official teasing starving Armenian children with a piece of food. It took place during the Armenian Genocide in 1915. Wegner’s images of the Armenian Genocide unofficially serve as the best witnesses to the atrocities of this time. 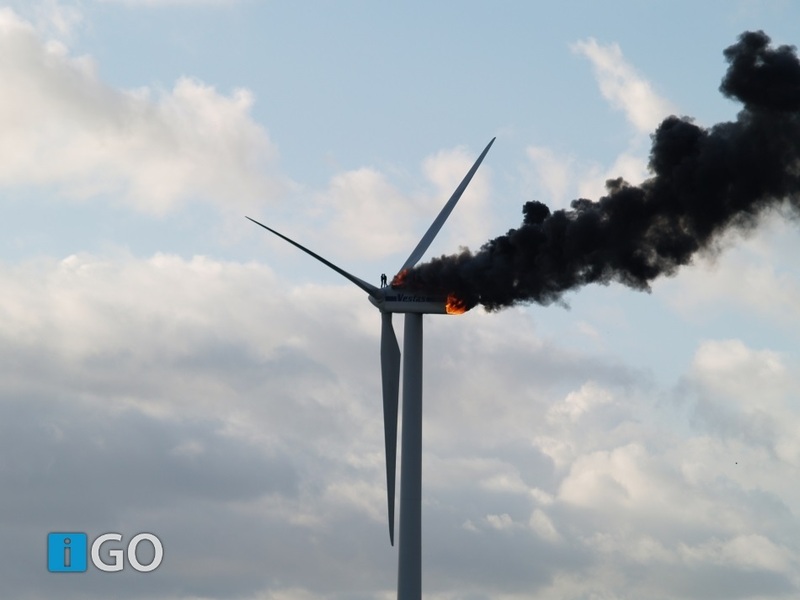 Two engineers conducting routine maintenance on a wind turbine in the Netherlands suddenly found themselves trapped in a fire. A short circuit led to the fire that engulfed their escape route. One engineer leaped off the turbine, ultimately falling to his death. Firefighters found the other engineer deceased and trapped inside the turbine. Undulating clouds are a relatively new cloud formation yet to be officially classified. Winds shear the atmosphere into wave-like forms causing their undulating shapes. Which photo do you find most inspiring? Share it or comment below.